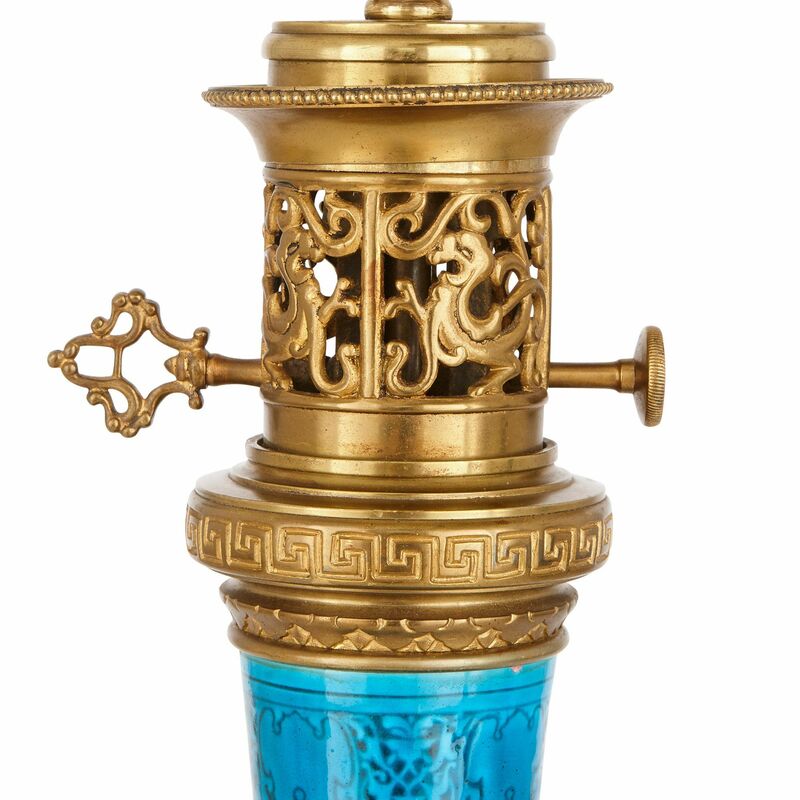 These fantastic faience lamps are a brilliant example of master French ceramicist Theodore Deck's innovative work, inspired by the beauty of the East. 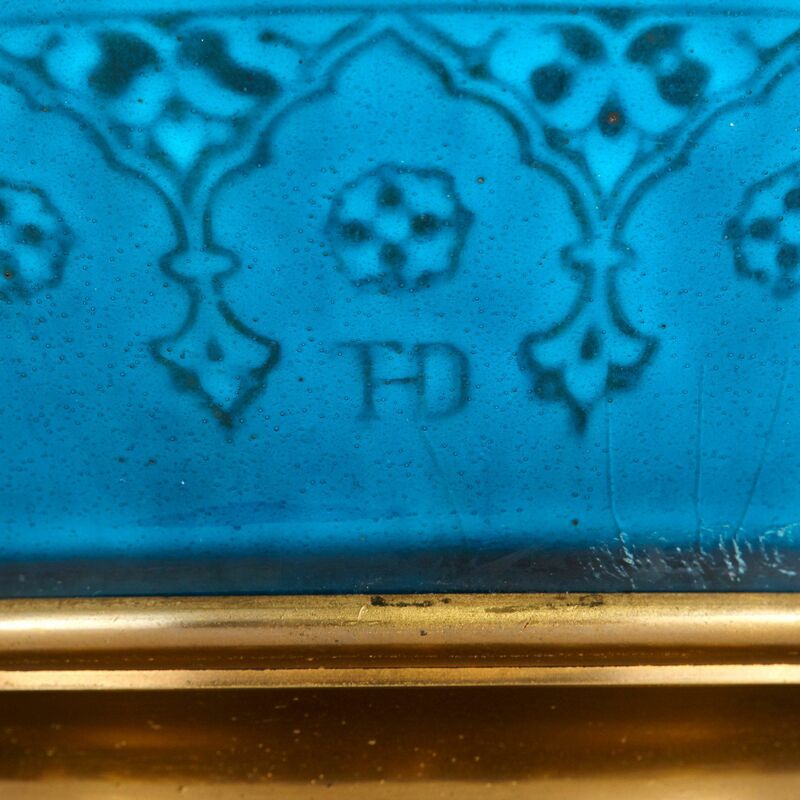 French potter Theodore Deck (1823-1891) is widely regarded as one of the most innovative ceramicists of the late 19th Century. Working primarily in the Orientalist style - an extremely fashionable artistic genre at the time - his work drew on innovative decorative techniques borrowed from Persian, Chinese, and Japanese ceramics. Eastern artworks from these countries had started to enter the Western market in the 19th Century, and they were widely revered for their distinctive decoration and brilliant colours. 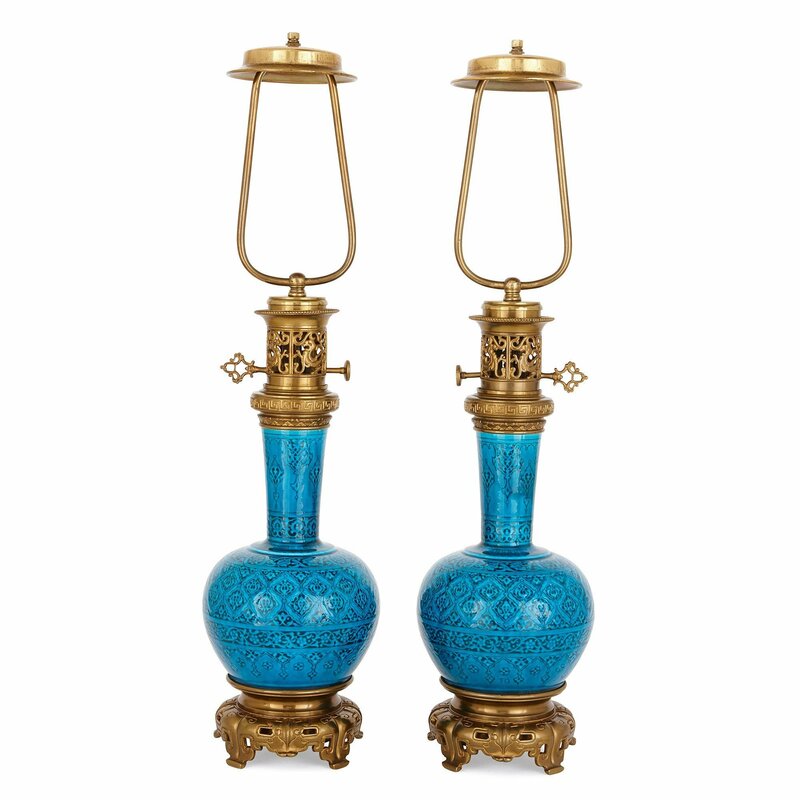 These lamps are the result of Theodore Deck's long fascination with Persian ceramics, a fascination which led him to develop a technique for a distinctive, rich, turquoise glaze known as 'bleu de Deck' or 'Persian blue'. 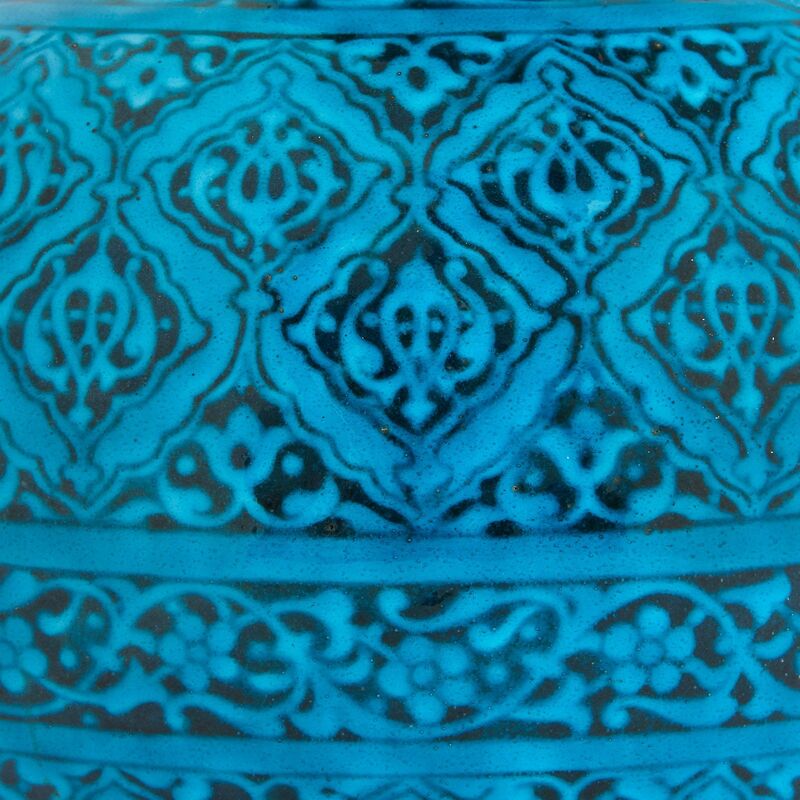 This colour in traditional Persian pottery was supposed to represent the semi-precious mineral lapis lazuli, which is most commonly found in Persia (modern-day Iran) and Afghanistan. This pair of lamps utilise this brilliant hue to magnificent effect, with further Islamic-style geometric and foliate decorations around their faience bodies. 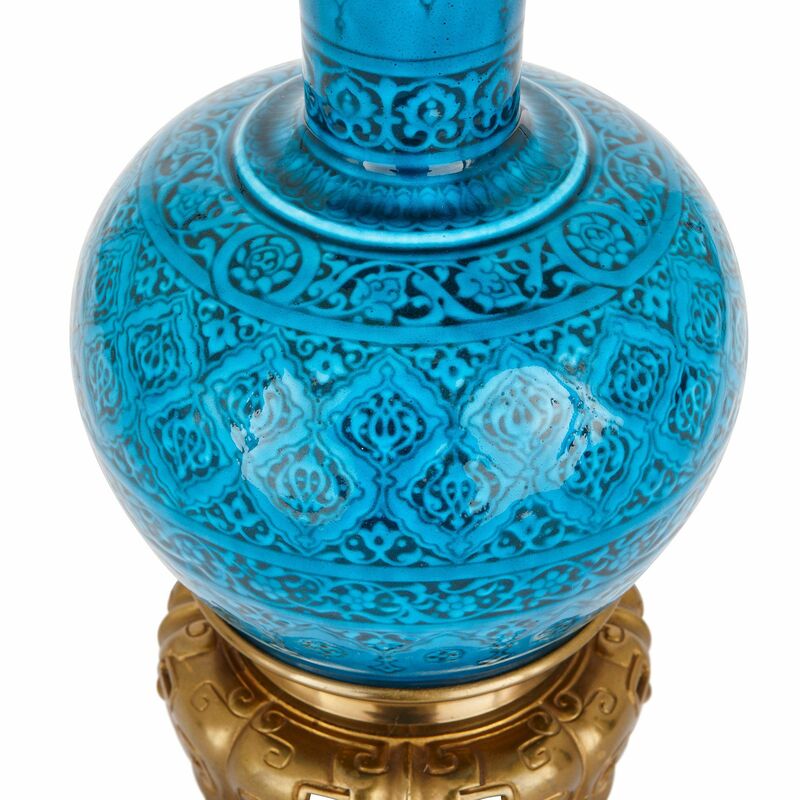 As in traditional Persian design, the lamps are bottle-shaped, with wide bases leading to long, slender necks. 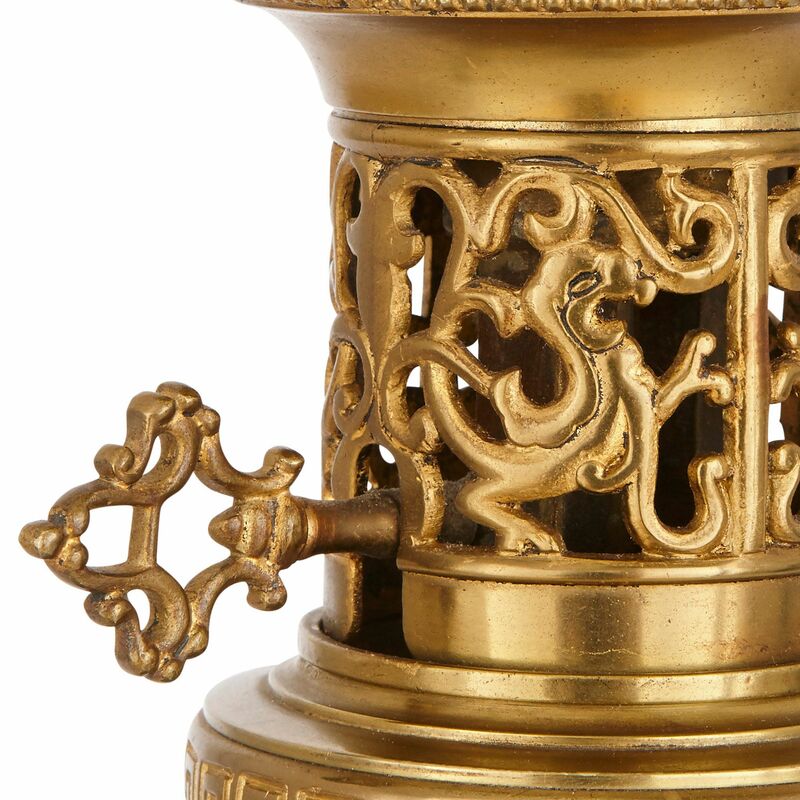 They are mounted onto pierced ormolu bases, with ormolu lamp fittings above and lampshade surmounts. Each lamp bears the impressed mark for Deck, reading 'THD'.